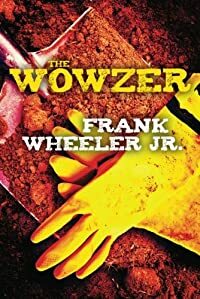 The Wowzer by Frank Wheeler Jr., a Mysterious Review. Review: Jerry is a deputy sheriff deep in the hills of the Ozarks, a man who enforces the law all the while skirting around it. Is he corrupt? Most certainly. Is he a psychopath? Probably. But it's all relative, for is he any worse than the almost mythical creature that lives in the woods and cuts off the heads of unsuspecting souls? Jerry tells his story in The Wowzer, a stand-alone by debut author Frank Wheeler Jr. In many ways, Jerry — no last name — is a simple man. He's good at his job. He's sweet on Maggie, a doctor in the local hospital. He doesn't need much to live on and looks forward to the day he retires, but he suspects his boss, the sheriff — who also happens to be the region's primary trafficker of drugs — may think he doesn't need anything to live on at that point because he won't be alive then to enjoy even the simplest pleasures of life. Jerry might have to do something about that notion. Overall, though, the only thing that really complicates his life, in ways he can't quite wrap his finger around, is the Wowzer. "What's a Wowzer?" [Maggie] asks. "Grandma used to tell me 'bout it. Just a story for us hill folk." "Well. You see. The Wowzer lives up in them woods. He's real big an' like a panther, but it's hard to say for sure, 'cause hardly anyone ever sees him." "A big panther?" she asks. "Grandma called 'em painters. But he don't never come outta the woods. Not hardly ever. He's real quiet, an' sneaks 'round everywhere so folks can't hear hiim. Mostly he keeps to hisself, but he's real picky 'bout who comes on his land. If'n you let your cattle, your hogs, graze back in his part of the woods, he's liable to bite they heads off." It's easy to see why The Wowzer is classified as a crime novel. But it's also easy to see why it might not be. Indeed, it reads far more like a self-penned diary, a series of days in the life of Jerry — and more accurately, violent days in the violent life of Jerry — than a novel of suspense or thriller, of which it arguably is neither. There is nothing special or unique about the underlying storyline, but the same cannot be said of the manner in which it is written … or told. The narrative style, which is being marketed as "country noir", takes a little getting used. OK, it takes a lot getting used to. And no doubt some readers may never be comfortable with it. The author should be applauded for taking a chance here, writing a novel that is really different from the vast majority of crime fiction being published today. But "really different" doesn't equate to "really better" in this case. Subtract out the violence and the Ozark cadence and there's not much of substance remaining. Acknowledgment: Thomas & Mercer provided a copy of The Wowzer for this review. The Wowzer by Frank Wheeler Jr.